Our next MFGN Quarterly Social is approaching on Tuesday 6th May. We're looking forward to another evening full of enthusiastic discussions with others who share our interest in locally grown, healthy food. I hope you’ll come along to participate, meet new friends and say hello to old ones. We’ll start with a guest speaker followed by discussion/questions, then anyone who wants to can briefly share quick project updates or items of interest. After that we’ll mingle, chat and eat. It's informal and everyone is welcome, a terrific opportunity to find lots of likeminded, enthusiastic people all in one place. We're lucky to have as our special guest Dr Nick Rose (between 6.30-7.30pm). 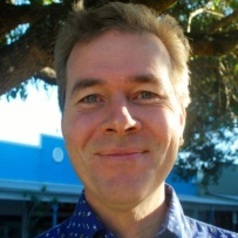 Nick is the National Coordinator of the Australian Food Sovereignty Alliance (AFSA) (the people behind Fair Food Week) and has been instrumental in the development of the People’s Food Plan. He is also the coordinator of the Victorian Healthy Food Systems Network project of the Food Alliance (Deakin University), funded by VicHealth. This one-year project aims to establish collaborative spaces and forums for stakeholders from across Victoria's food system to work together to tackle the big issues we are facing, from soil to stomach. Nick has focused particularly on the establishment of an Urban Food Network and a project to create an Urban Food Charter for Victoria. The Urban Food Charter has been revised and Nick is here to workshop the Urban Food Charter with the network to gather our feedback and thoughts. You may also have read his recent article in The Conversation. RSVP: Please RSVP by emailing morelandfoodgardensnetwork@gmail.com so we can be confident of the space we need.